The LT-31 latches are compact size and with durable heavy duty hooks. They come with steel spring ball to hook up or unhook easily. 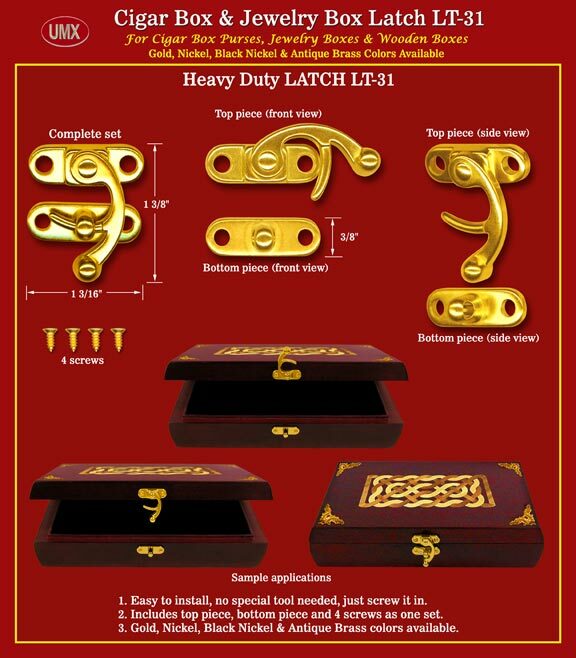 They are designed for wood box craft, wooden boxes, box purses or cabinet locking system.